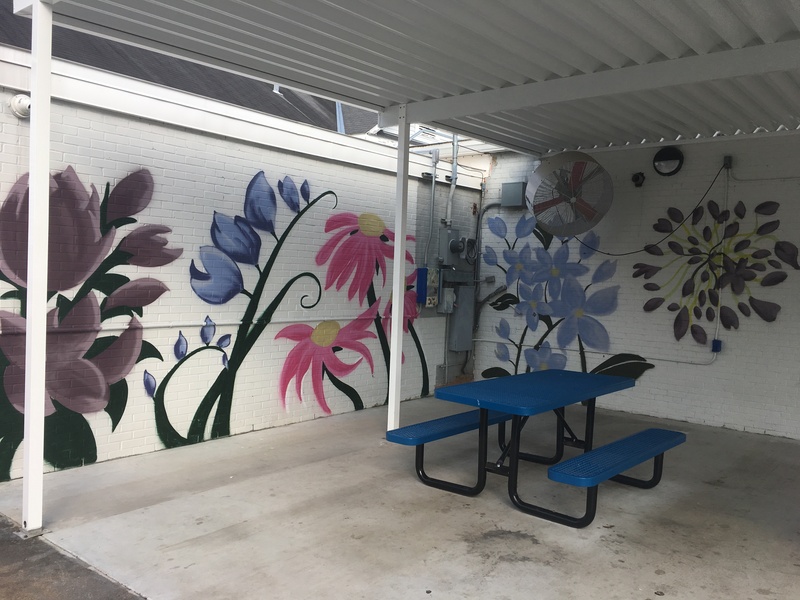 CLHC has a new mural on our back wall thanks to two outstanding Cenla artists! Liz and Jed Cornett donated supplies and their talents to CLHC to brighten up our space. The mural is still a work in progress, but it is already illuminating hope in our patrons! One of our participants expressed his appreciation by saying “it’s beautiful; it brings peace. Like sitting with flowers in a garden, it’s relaxing and helps bring comfort and peace”. Thank you, Liz and Jed!